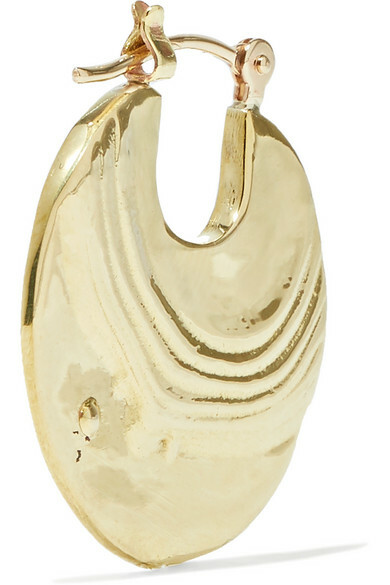 Aptly named 'Paillette', Leigh Miller's earrings resemble small sequins. 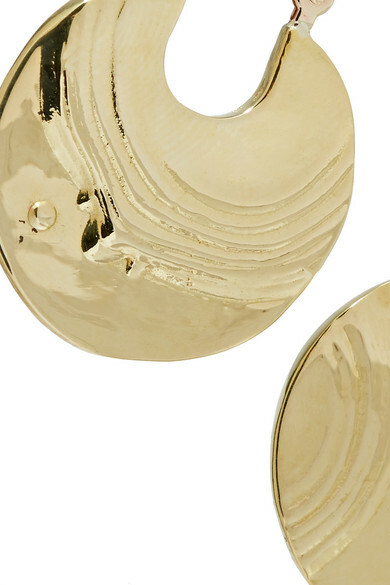 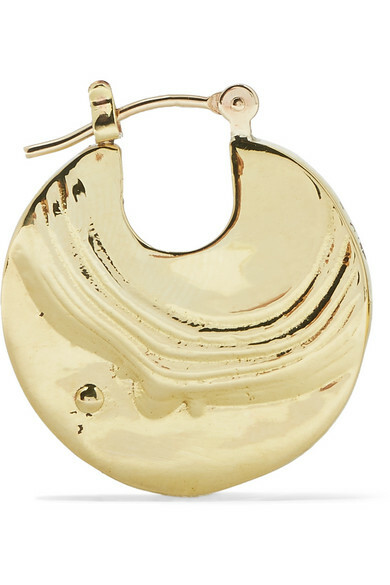 They're crafted from gold-tone brass using a molten wax casting technique and hand-hammered for a light-catching finish. 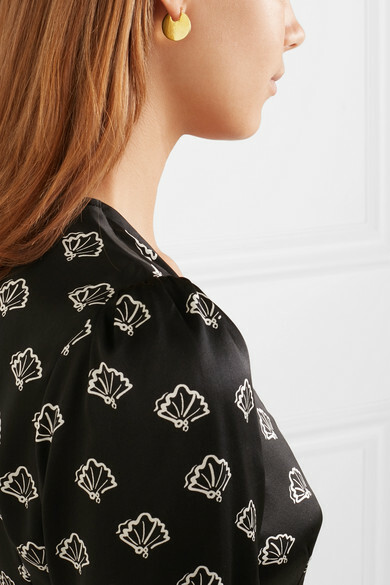 The 14-karat gold post fastenings make them a perfect choice for those with sensitive ears.